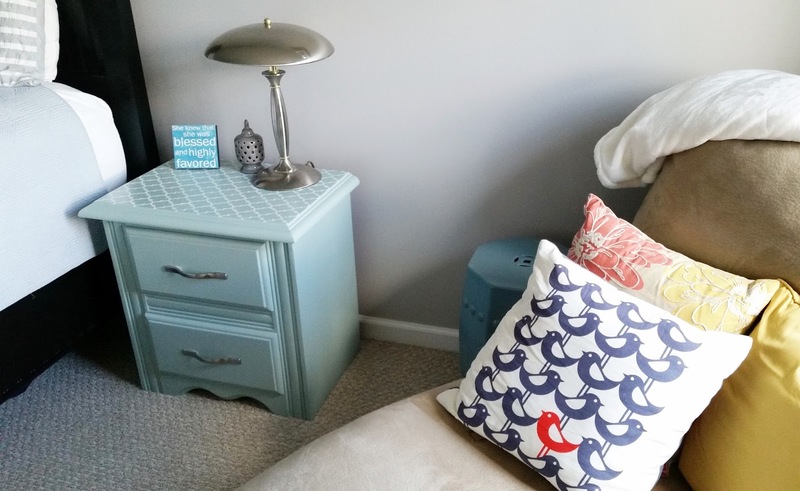 Over five years ago while eight months pregnant with our third daughter, I stripped and refinished our entire bedroom suite, a collection of mismatched pieces gathered over years and places. I gleaned two bits of wisdom from that experience. 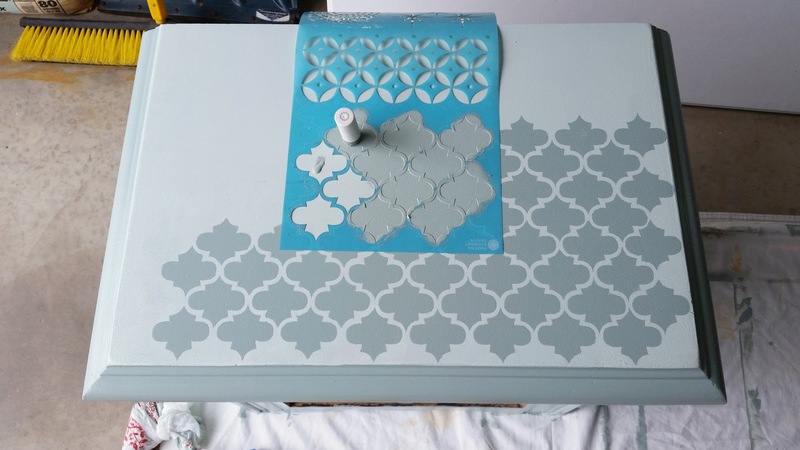 First, I discovered how painting old furniture can give it new life. Unifying all our pieces in black looked amazing, especially given the previous mishmash of finishes. Second, though perhaps more tangentially, it solidified my belief that you should never underestimate a woman who is nesting. The process was simple enough. 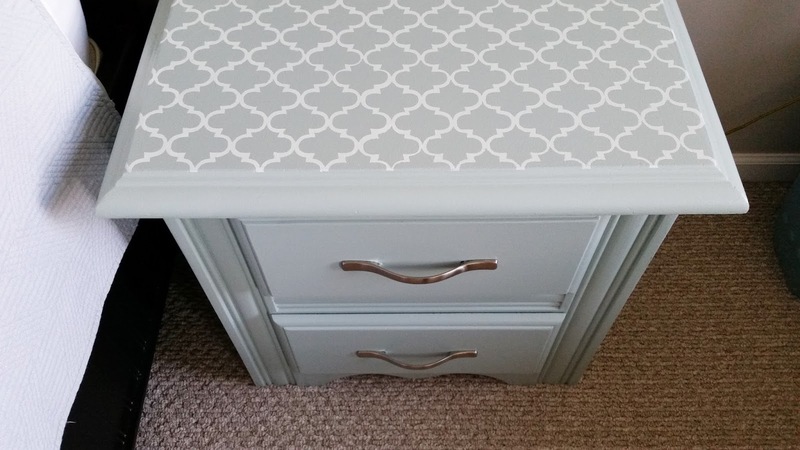 I brought the nightstand to our garage, set up a drop cloth to protect the floor, and removed the hardware from the drawers. 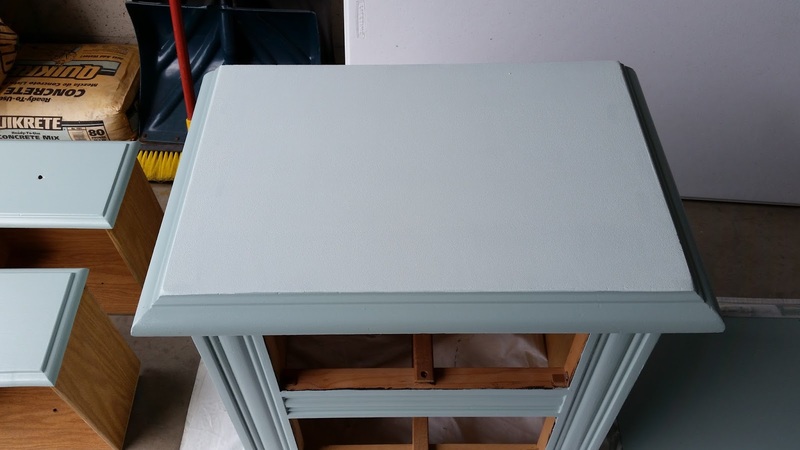 After lightly sanding the nightstand and cleaning it of dust, I filled the small nicks with wood filler using a putty knife. I then let the wood filler dry and sanded once more to ensure the smoothest surface for painting. 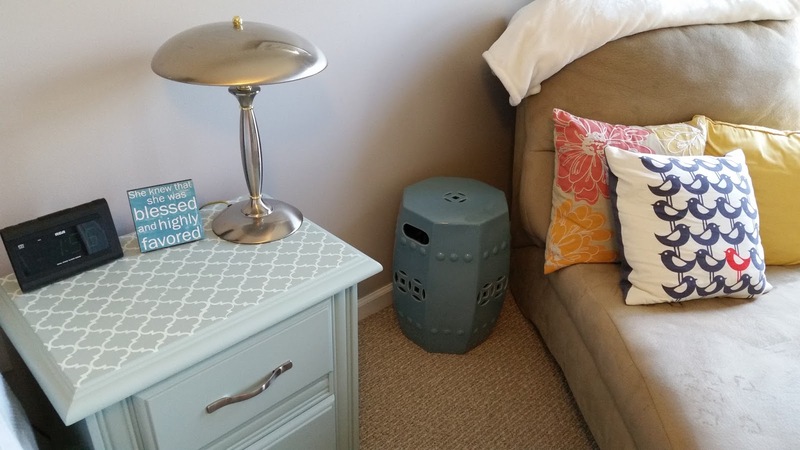 In case you're curious, I used Halcyon Green by Behr, which is a lovely color that pleasingly shifts depending on the lighting. 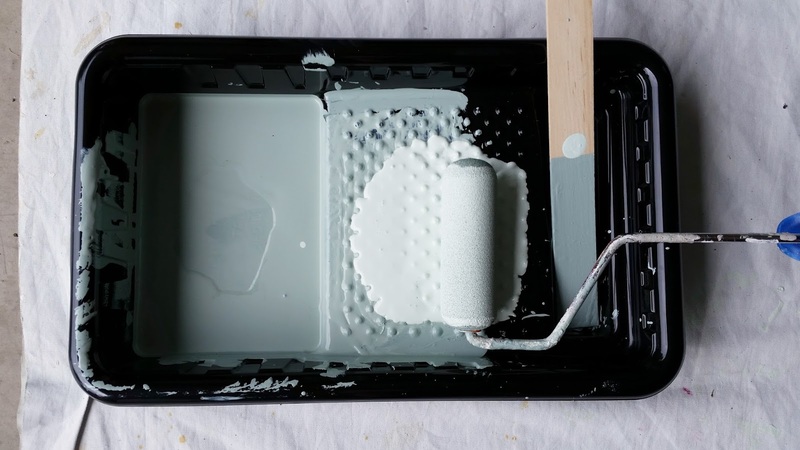 Sometimes it appears bluish-green; other times it appears to have a more gray undertone. 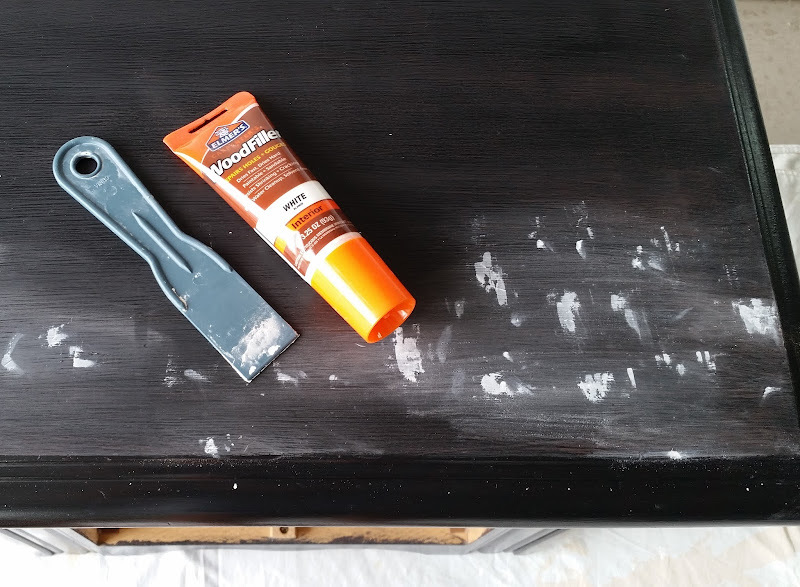 I carefully used a one-inch angled brush to cut in corners and reach small crevices, and then followed up with a small foam paint roller specifically designed for furniture and cabinets. 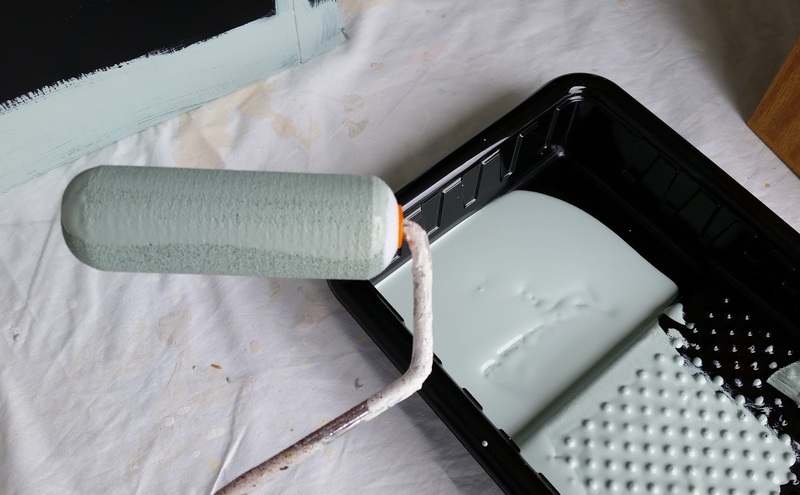 Rollers not only provide easy and quick paint coverage; they also prevent the appearance of brush strokes. 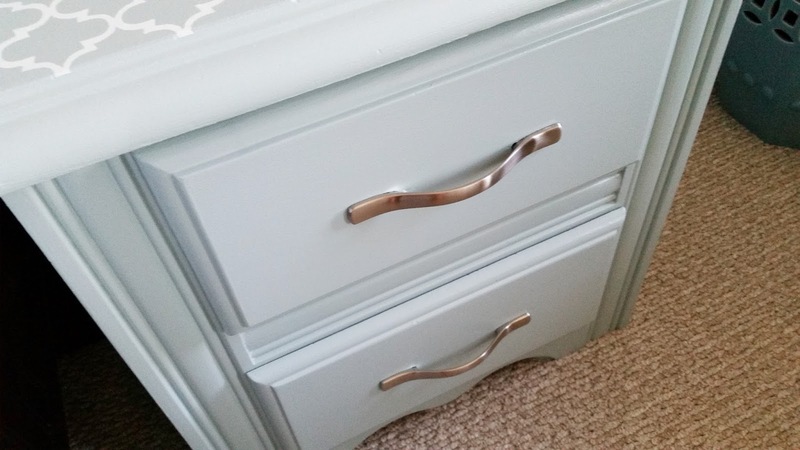 This simply restoration made the nightstand look like an entirely new piece of furniture, one that's fresh and airy, not dark and clunky.﻿ Its lightness even seems to cause the hardware, which I barely noticed when the piece was black, to gleam more brightly. Alright, alright. Thirty years ago. As an added bonus, the lighter finish masks dust wonderfully, and if you can't see dust, it's easy to pretend it's not there. 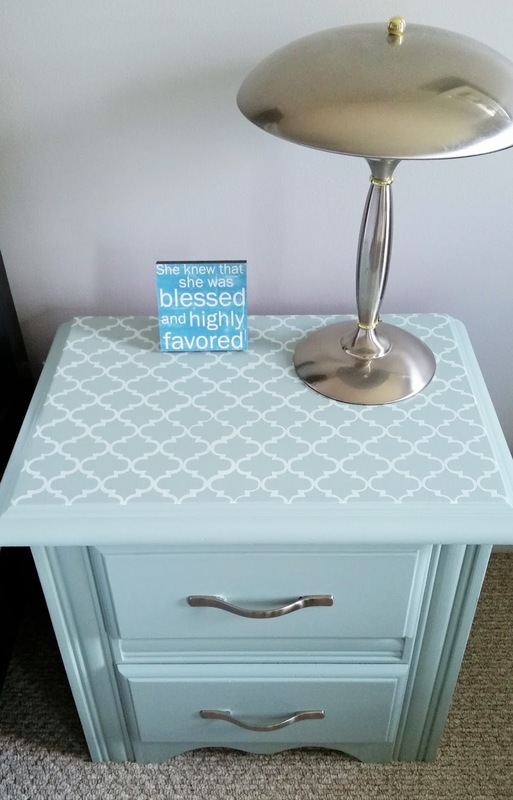 If only for that reason, the nightstand might be one of my favorite DIY projects of the summer. Come to think of it, perhaps one of my favorite DIY projects of all time.